These days a gangster might be someone who has their trousers around their ankles, but there was a time when the word really meant something. 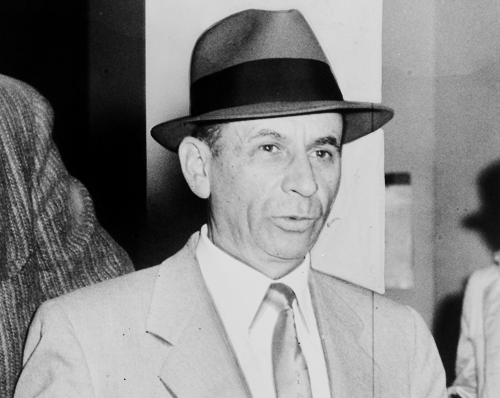 Real life gangsters who inspired films like The Godfather, Scarface and Goodfellas were no doubt guilty of many terrible crimes, but they also lived incredible life stories and had a highly romanticised sense of honour and family. Some of these men were true geniuses and had they used their business acumen and psychological warfare for good, they could have no doubt accomplished amazing things. 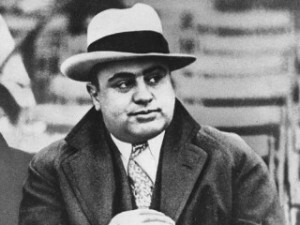 Al Capone is not only one of the top ten gangsters, but one of the most famous gangsters in history due to his role during the Prohibition era. His crimes weren’t just smuggling booze though – his ‘Chicago Outfit’ (later named ‘The Capones’) were responsible for a range of other illegal activities such as prostitution. Capone was also known as ‘Scarface’ and was well known for his big ego and lavish lifestyle. Also known as ‘The Chin’, Vincent was a successful boxer during his 9th grade before turning to crime to support himself. He was arrested 25 times before the age of 25, but his first act as a real gangster was to attempt the murder of Frank Costello. 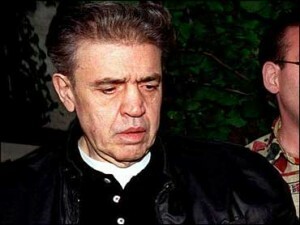 He climbed the ranks of New York’s ‘Genovese Organization’ before becoming a capo and consigliere in the 80s. Perhaps most interesting though was how he got out of a conviction by pleading insanity and afterward taking to wearing a bathrobe in the streets to backup his story (which earned himself another nickname – ‘The Oddfather’). 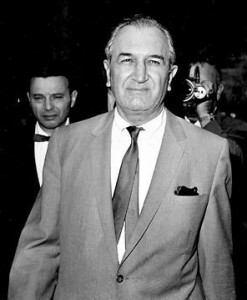 Joseph Bonanno left Sicilly due to the rein of Mussolini and arrived in the States at the age of 19. 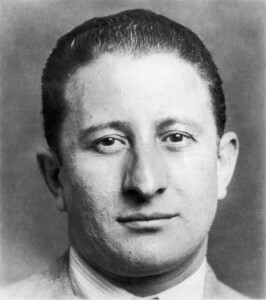 He joined the mafia hoping to help prevent Mussolini from taking over Siciliy and in New York stepped up and took over one of the families. Nicknamed ‘Joey Bananas’ he was forced to retire in 1965 by a rival family, but returned to start the ‘bananna wars’ to even the score. He was never convicted of a serious offense. One of the top 10 gangsters if only for his colourful name and legend. 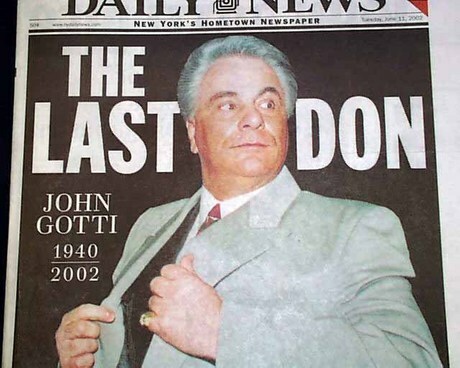 John Gotti reportedly dreamed of becoming a ‘wise guy’ when he was younger and had joined a street gang by the age of 16. He became their leader and eventually went on to become capo for the Bergin crew. When he started to deal drugs, which was against the family rules, Paul Castellano wanted him expelled; but Paul responded by killing Castellano and taking over the Gambino family. John loved media attention and dressed sharply which earned him the nickname ‘The Dapper Don’. 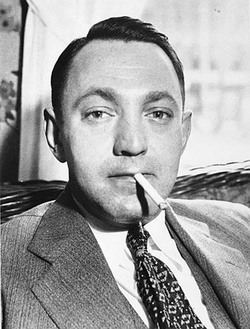 Dutch Schultz was another gangster around during the prohibition and one who helped found the syndicate. Luciano and Capone became his enemies though, and pressure from the law lead him to flee to New Jersey. He made a comeback in 1935, but was killed by another crew in a restaurant men’s room. 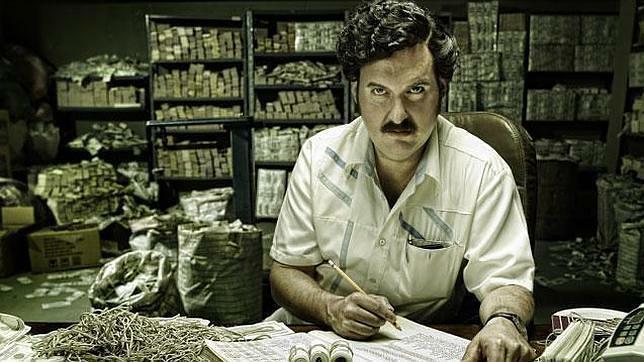 Pablo Emilio Escobar Gaviria was a Columbian drug lord and leader of one of history’s most powerful crime organizations. He controlled a huge empire of drugs and had a personal empire of mansions, zoos, planes and soldiers. Certainly one of the top ten gangsters in terms of sheer influence and power. 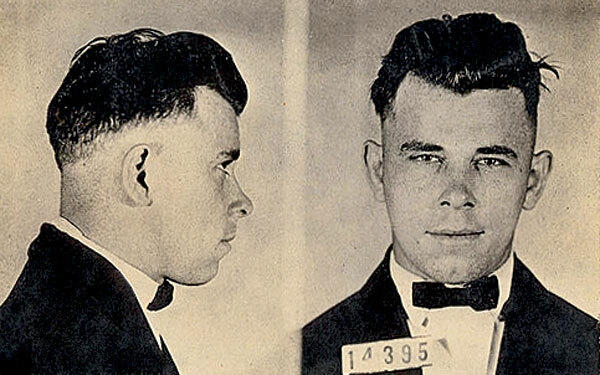 John Dillinger was not so much a gangster as a robber – but also a master of planning and the most profitable bank thief of his time. Strategic and intricate planning ensured that he was able to pull off huge heists and stay ahead of the police, and legend has it that he once escapes prison by calving a bar of soap to look like a gun. Salvatore Luciana had a life story fit for Hollywood. Though born a poor street urchin in Siciliy, Lucky Luciano went on to become one of the most successful gangsters of all time. After wiping out the Sicilian mafia in its traditional form, he went on to begin a national American crime syndicate made up of many ethnic groups. He is often considered responsible for the mafia’s half-century rule over American crime making him a cert for the top 10 gangsters of all time. Meyer Lansky was born in Russia but moved to New York when he was just 9. 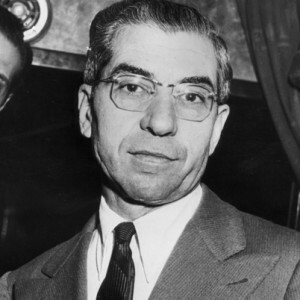 Here he met Charles Luciano as a school boy, and refused to pay him protection money leading to a fight. Luciano was impressed by Lansky’s toughness and the two became lifelong friends. Bugsy Siegel became the third member of their group, and launched ‘The Bug and Meyer Mob’ with Lansky. Lansky mostly involved himself with gambling and laundering and bought an offshore Swiss Bank. He was a financial genius, but also incredibly ruthless eventually ordering the murder of Siegel. 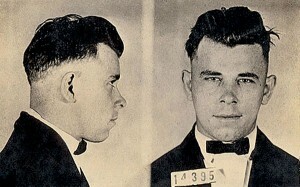 He was another like several of the top 10 gangsters who never spent any time in jail. Carlo Gambino was a smart and shrewd mafia boss who constructed a huge hundred-million dollar empire that long outlasted him. Considered by many to be the ‘real Godfather’ he was never convicted of a serious crime and was considered a loyal boss by his followers. No doubt one of the top ten gangsters of all time, particularly as he was also one of the main sources of inspiration for one of the most famous gangster films of all time.